GUANGZHOU, China, Jan. 6, 2018 /PRNewswire/ — GAC Motor, China’s fastest-growing automaker, will present its elite vehicle lineup featuring its existing sedan, SUV, minivan and NEV at the 2018 North American International Auto Show (NAIAS), which demonstrates the brand’s sincerity and determination to enter the North American market. A brand-new sedan model and a concept car will also make their world debuts on GAC Motor’s press conference which held on January 15.The NAIAS will be on from January 13 to 18, 2018 at the Cobo Center in Detroit. 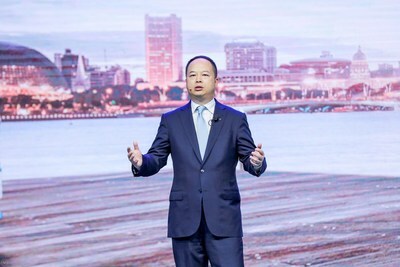 Three-time participating as the only Chinese automaker in the NAIAS has gained widespread interest for GAC Motor and has also allowed it to be more familiar to local consumers as well as to better understand their needs. GAC Motor’s exhibition at 2018 NAIAS will feature high-end models including the GA8, GS8 and GM8, which provided safe and reliable service for attendees at the Fortune Global Forum 2017 as the event’s official service vehicles. Most notably, GAC Motor will debut the GA4, an all-new signature sedan at 2018 NAIAS. 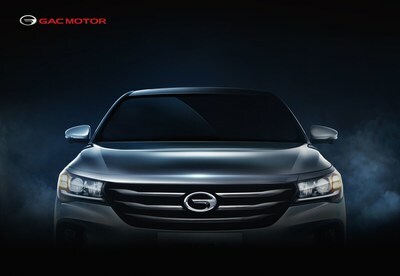 This GA4 is a mainstream sedan model built on GAC Motor’s own A-Class sedan platform, which is designed and positioned as a family sedan of quality and charm. 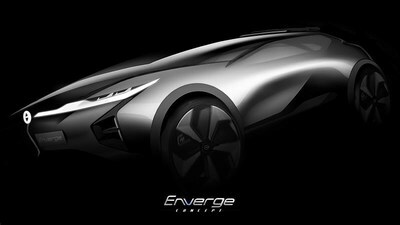 Also, GAC is to release its first compact new-energy concept SUV designed for the North American market, called the Enverge, to unfold the company’s cutting-edge technologies and tremendous potential in the fields of vehicle electrification, networking and intelligent system. The new cars are widely expected by the industry professionals, trade media and consumers. As GAC Motor releases its new vehicles, the brand’s product lineup is more comprehensive than ever, paving a path for GAC Motor to further explore global markets while demonstrating the company’s advanced and upgraded capabilities in R&D, manufacturing and quality. By focusing on building high-end models and elevating travel experience, GAC Motor aims to define future mobility with products of supreme quality and personalized design. In 2017, GAC motor met its target of annual sales volume of 500,000 for the year in China, with a 37.2% year-on-year increase, blazing a path of high-quality and sustainable development. As a highly-trusted brand, GAC Motor has received top quality ratings from JD Power for five consecutive years. This honor is recognition of its efforts to redefine and reimagine what Made-in-China means. The company’s presentation of its complete product lineup at 2018 NAIAIS will be a showcase for its strength as an international automaker. Founded in 2008, Guangzhou Automobile Group Motor CO., LTD (GAC Motor) is a subsidiary of GAC Group which ranks 238th among the Fortune Global 500 companies. The company develops and manufactures premium quality vehicles, engines, components and auto accessories. GAC Motor achieved a 37.2% year-on-year increase in 2017, and now it ranks the first among all Chinese brands for five consecutive years in J.D. Power Asia Pacific’s 2017 China Initial Quality Study SM (IQS). The company built a production and sales volume of 500,000 vehicles in 2017 and aims to reach 1,000,000 vehicles by 2020.